Link: Vista security spec 'longest suicide note in history'. What do you get when an operating system is so concerned about protecting allegedly premium content that it makes the OS impossible to use? Some authors are complaining that copying, or otherwise dealing with ordinary files is excruciatingly slow in Vista. Along with its other problems, why would anyone pay money for this disaster? I, for one, will stay with XP as long as I can, and, yes, Grant, I will be looking long and hard at a dual system featuring the Mac OS. I can hear the squeals of delight all the way from Kansas. Link: Emoze push mail "outberries" Blackbery at CTIA - Engadget Mobile. I have posted before about Emoze, a push email solution for the rest of us. I also hate BlackBerrys, for a lot of reasons regular readers already know. 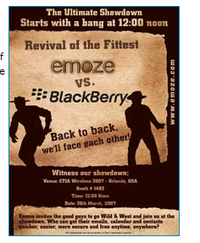 So, I was happy to see that the recent CTIA showdown between Emoze push email, and BlackBerry push, resulted in a stunning, though not unexpected victory for Emoze. So there, BlackBerry. Lie-Detection Software - Future E-Discovery Tool? 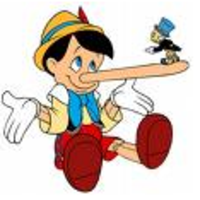 Link: Lie-Detection Software Could Scan E-Mail, Text Messages - Yahoo! News. Jiminy Cricket! Is my nose growing? In the future, lawyers may be running email and text messages obtained in discovery through a new kind of software, which allegedly will scan the diction, phrasing, word choices, and verb selection to determine the likelihood that the speaker is lying. This new kind of lie detector is expected to be the product of a National Science Foundation study that suggests it may be possible to determine whether the writer of an email or text message is showing deception. It makes sense that we might change our use of language, just as our body changes physical reactions that the polygraph registers. So, be careful how you write. Somebody may be scanning you. Link: Microsoft Labs' Deepfish: iPhone for everyone | Webware : Cool Web apps for everyone. Microsoft is fighting back against the IPhone announcement with a real product. 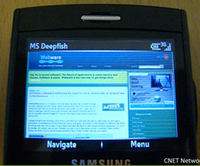 Deepfish is a browser alternative that uses pretty icons like the upcoming IPhone, and which works on the small screens of UMPCs and SmartPhones like the Treo. However, there is no Palm version, and the software is still in private beta. That means you can only get it to try out with an invitation. Get in line. Will Deepfish be a worthy competitor to the IPhone? Well, at least we know it exists. Of course, you have to be running Windows Mobile 5 or 6 to use it. The failure of the UMPC form factor was largely related to the uncomfortable middle ground between smart phones and laptops it was forced to occupy. I am waiting for the UMPC sized full computers, like the FlipStart. I should get one next week for review. I am salivating. Link: JiWire Hotspot Helper Wi-Fi Security VPN Software. One of my favorite newsletters is published by JiWire, which focuses on the use of wireless Internet at public locations. This utility is an essential tool for those who rely on public hotspots for Internet access. It prevents access to personal information, and protects against the latest threat of spoofed WiFi sites. It can be tested free for 10 days, and, if you don't have an EV-DO or other broadband wireless account, it can save your bacon. But Will They Drop the Price $200? 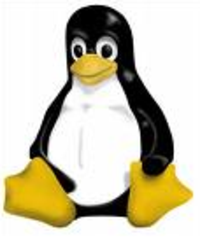 Link: Dell Promises Pre-Installed Linux - Yahoo! News. In a move that will surely cause consternation in Microsoft World, Dell will begin offering its computers with the Linux operating system pre-installed. The expensive licensing fees to Microsoft will surely make the computer less expensive to produce, but will Dell reduce the price accordingly? No statement in this article, but Dell's history would indicate that the consumer pricing a computer would find some sort of pricing credit on the configuration page. How about an option to keep XP in the lineup? I wonder if Microsoft will pressure computer makers to offer Vista only in new machines? Link: Google Pack Adds Free Security Apps - Yahoo! News. Google Pack, the free software applications and tools package that Google provides to anyone for download, has added antivirus, antispyware, and antimalware applications to its lineup. this free application group is becoming a really useful tool. It includes Google Earth, Google Talk, Picasa, Skype, Firefox, Adobe Acrobat Reader, Photos Screensaver, and other applications. You can check it out at the Download GooglePack site. Link: Microsoft PR: Worse than the FBI? : Christopher Null : Yahoo! Tech. Microsoft's heavy handed attempted manipulation of tech journalists is the focus of this Christopher Null column. Apparently, Microsoft's PR firm keeps dossiers on journalists that go beyond the typical PR guy's information packet. The one that the column highlights contains strategy for manipulation of the journalist, and insulting comments. Null is a high visibility journalist, and he can't get Microsoft's PR people to return his calls. Why? He has been panning Vista, which is a buggy, broken, DRM ridden operating system, and takes control away from the user. Oops. I guess I won't be getting a Xmas card from Gates universe. Oh well. 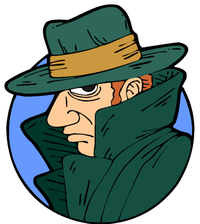 Put that in my dossier and smoke it. Email Archiving and Storage Management Solutions for Compliance and Electronic Discovery. Link: Email Archiving and Storage Management Solutions for Compliance and Electronic Discovery. I had a pleasant and informative conversation this morning with Paul Pak, CEO of Athena Archiver. The discussion about the security and methods Athena uses to archive email in a secure way was eye-opening. In fact, after our discussion, the company added a Security FAQ to the site, and a Flash demo of the application can be found at Athena Archiver Demo . Lawyers and their clients need to know how to archive email in a way that permits verification and access in our litigation prone current environment. The service is a monthly per user fee structure that should scale up or down, as necessary. The method of security, and access control, are also quite good. I would feel very secure about an archiving system that uses this company. How does your law firm store and access email archives? Link: FCC Chief: Wireless Key to Universal Access - Yahoo! News. The FCC Chairman's endorsement of wireless availability universally, in a provider neutral environment is good news for mobile professionals, and mobile commuters of all stripes. The FCC has the power to limit or restrict any communication technology, and it is good that the agency head sees the essential nature of wireless computing.